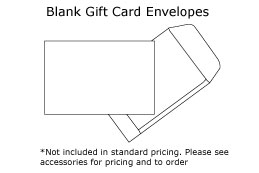 This product replaces the older * Gift Card Design 1. Custom Gift Cards from POSGuys.com provide an easy way for you to provide gift cards for your customers without having to purchase a card printer of your own. 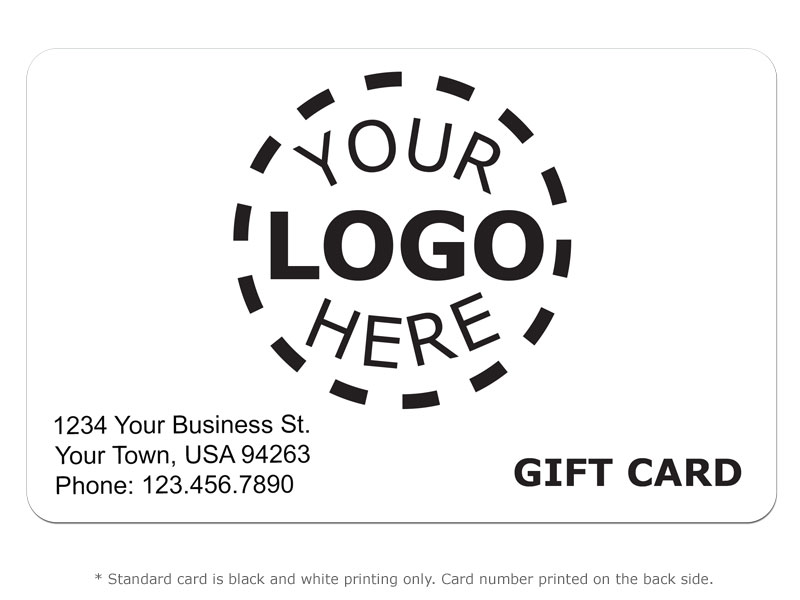 This design featuring your logo comes in black text/graphics on your choice of card stock. 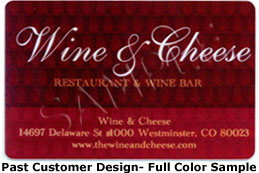 Double-Sided Printing - Contact information and card number are printed on the back in black. Please note: By default, magnetic stripes are encoded with a 6 digit number on Track 2. 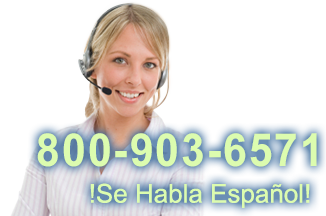 If you need specific data encoded to work with your software, please let you sales representative know when placing your order. 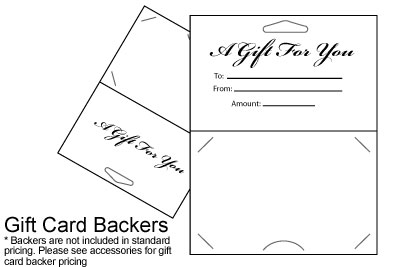 PLEASE NOTE: Logos will be inserted onto card as is and will not be touched up or re-worked in house. Please send psd, ai, or jpg. Find it faster! 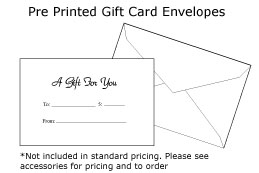 Click here to compare Gift Card Design 8 - (...) models by feature.